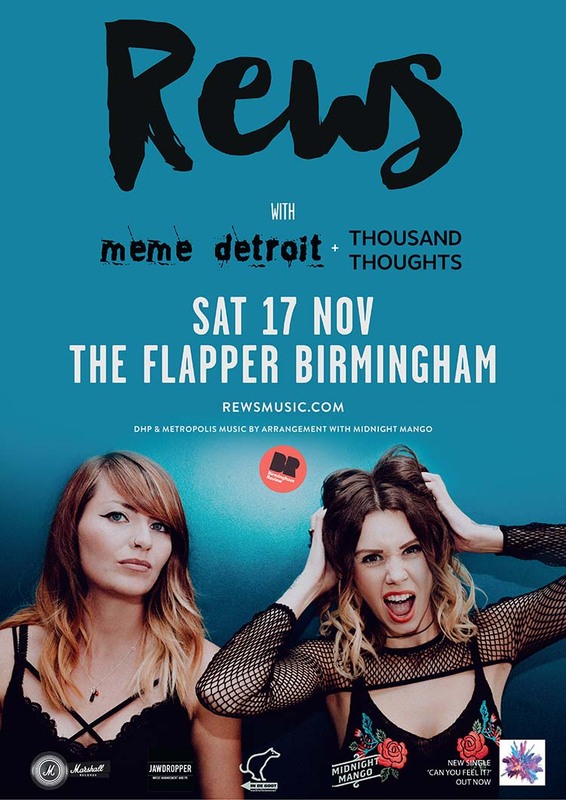 On Saturday 17th November, REWS return to Birmingham – rounding off their five date UK tour at The Flapper in Birmingham. For tickets and direct info, click here. Local support at The Flapper comes from MeMe Detroit, playing a home town show to promote her new Life in the Now EP. Whilst joining REWS on all of their UK tour dates are Thousand Thoughts – Enfield’s nu metal/alt rockers who are currently promoting their debut single, ‘This One’s for You’. 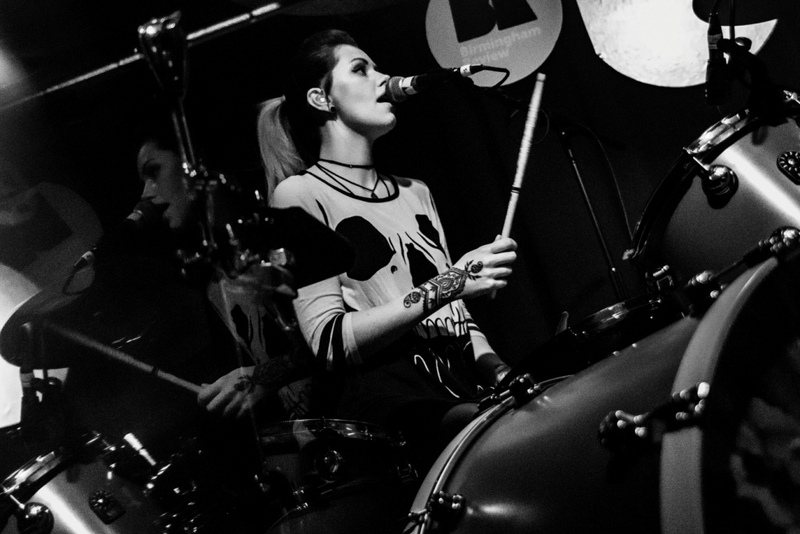 Ed King caught up with Collette Williams, one half of REWS and the band’s ‘vocalising beat-rocker’, in between the band’s sell out shows in Manchester and London. And REWS, it seems, are a favourite of Birmingham’s, with that special kind of fan fevour following them from venue to venue, previously selling out shows at the Actress & Bishop and the Hare & Hounds. 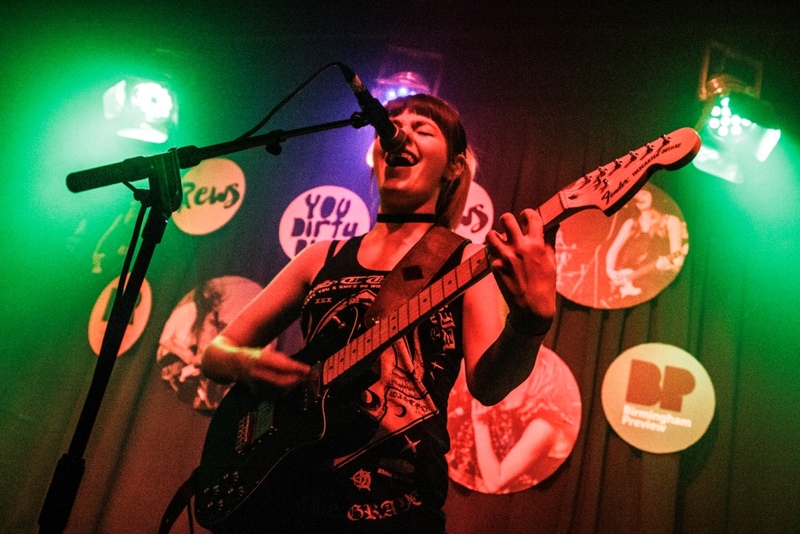 And now it’s back to The Flapper, where Birmingham Review first saw REWS back in February last year, with the band bringing a fresh army of fans following their support of Halestrom at the O2 Academy in September. Reassuring humility for such a for huge band, since forming in 1997 Halestorm have become one of the most prominent rock acts in North America. But my spidey sense tells me REWS being invited to support them on their UK tour was more than serendipity. After all, the UK two piece are signed to Marshall Records – an iconic rock brand with more than a few fingers in American pies. Are there any plans for REWS in the home of the brave? But if, as, and when REWS do start strutting their stuff stateside, no doubt we’ll hear about it loud and clear enough. The term ‘game changer’ filters into the conversation. But REWS making some serious in-roads across Route 66 is more than just a hunch, or even an educated guess; their sound is so right for a US audience it would almost be rude not to. Plus, rock producer Romesh Dodangoda – who has bands including Bullet for My Valentine, Lower than Atlantis, Funeral for a Friend, and Don Broco on his speed dial – has been working with REWS, giving their latest single ‘Can You Feel It?’ his legendary sheen. A wax and polish that has served his previous clients pretty well across the pond. And long may it reign, wherever and how ever it’s played. But as the God of rock shuts a door, statue dictates they must throw a TV out the window – are there any new tracks we should be keeping an eye and an ear out for? “There’s a brand new one, new in set, called ‘Get There Someday’,” tells Williams, “and we’ve also slipped a song into the set that’s not ours – it’s a cover version of a song that should be well known so we’ll let you keep your ears open for that one.” Intrigued, and covers can be surprising. Where are we between Motorhead and Britney Spears? Always good to leave on a cliff hanger. But not for long, as REWS will be bringing their new set – and mysterious cover song – to The Flapper in only a few days’ time. But there is another question mark hovering above this conversation, with it being nearly a year to the day that Pyro was released… album two? Fair enough. My Christmas list and curiosity will just have to wait. Until Saturday, at least.